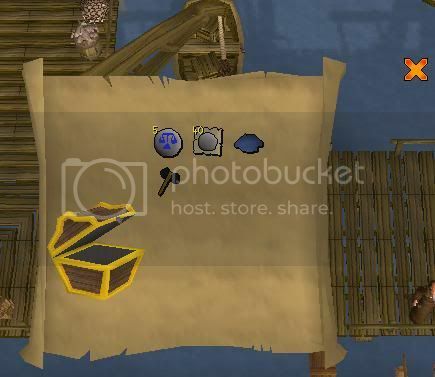 Sally's Insane Goals and Random RS Blog -350/369 Clue Scroll Items - Item Update!? SHE LIVES?! 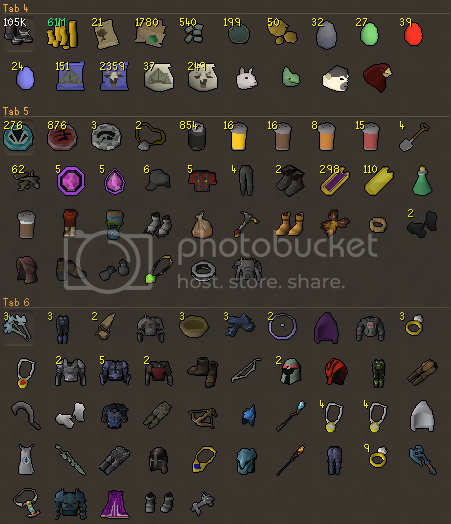 I decided that to help keep me on track of my goals on RS and to help keep me motivated in reaching them, I would create this blog. I'll split my goals into two lists; Current Goals and Long Term Goals. 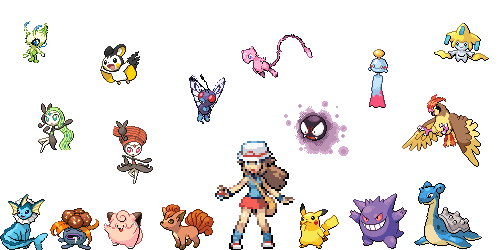 These will be added to and edited - Although I will state when I do so. 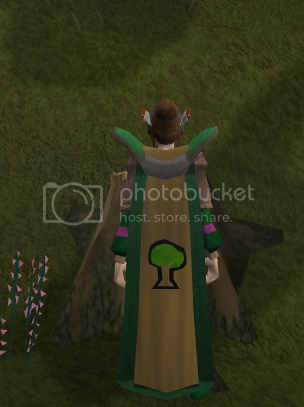 I currently have Twenty Six 99 cape's in: Cooking, Firemaking, Constitution, Defence, Attack, Strength, Dungeoneering, Summoning, Prayer, Slayer, Thieving, Fishing, Woodcutting, Smithing, Herblore, Crafting, Fletching, Construction, Magic, Mining, Range, Runecrafting, Farming, Divination, Agility and Hunter. 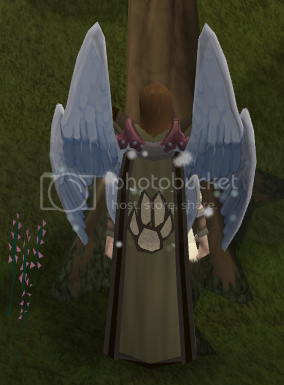 I Maxed on 5th January 2015. 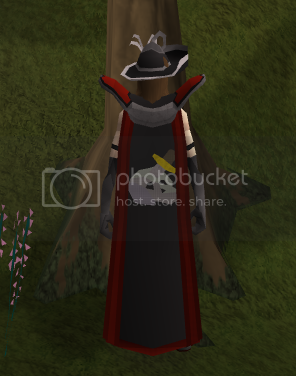 I gained 120 Cooking on 28th Feb 2016. Edited by Sally, 02 December 2017 - 10:31 PM. 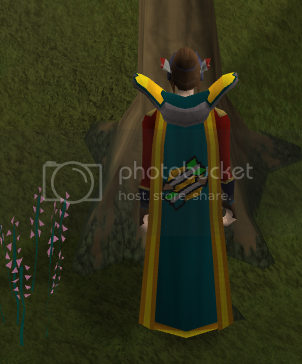 I've also got my last college assignment to do - Which doesn't leave me all that much time for RS currently. Or at least, doesn't let me be active. 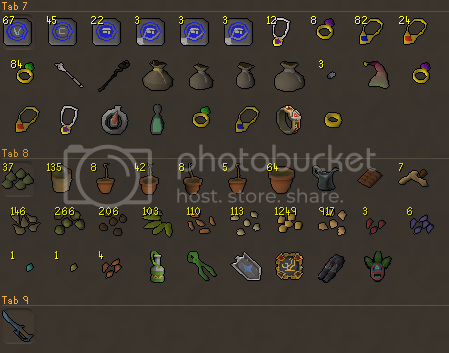 So I'm smithing Cannonballs for a slight profit and a level of Smithing itself - Then I will be going to do that trusty old AFK fishing to top up my Monk fish stockpile...I'm also going to be using my first ever Granite Lobster pouch. 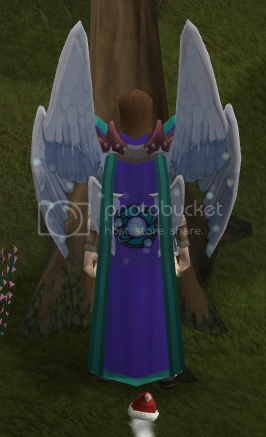 I promise this is going to get better, once I have more time to spend on RS! I'm also a student from te UK. I defeated Nomad using BGS. What method have you been using? 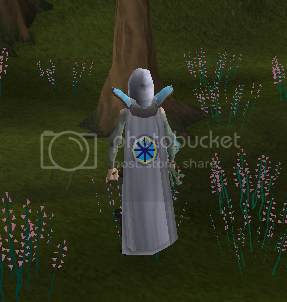 Good luck with your goals, quest cape is pretty awesome and makes you not feel guilty while grinding. I've been using the range method with Ruby/Dia (e) bolts, I found it on Runewiki. And the rain thing, where I am it rains one hell of a lot...as I found out yesterday when it poured down whilst I was walking home. Another day of not doing much exciting. Due to my limited funds I cant afford to do a lot of skills, plus I still have gear from Nomad, which I don't want to sell until I've finally killed him. 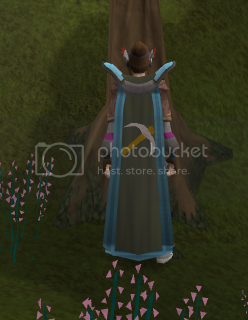 I saw the video RS put up showing the new emotes....I SO WANT ROFL! It looks just as amazing as Faint, something else I have to get, though its not something I can add to my list, as Court Summon's are a random occurrence and my luck...Well, lets just say I have extremely bad luck. And death issues. Also, could someone tell me what the heck Biscuits do? 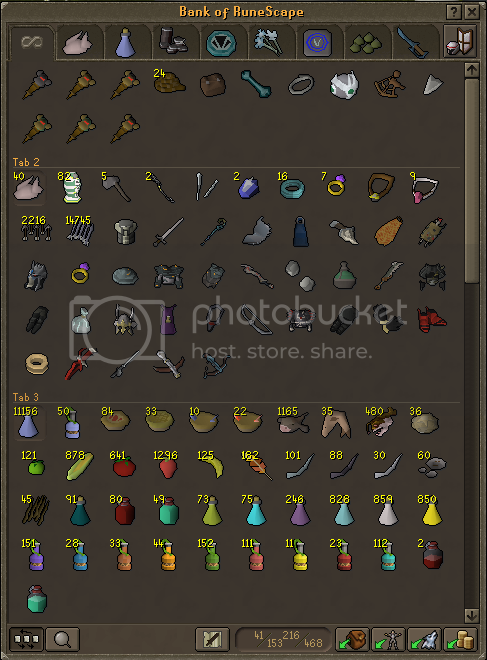 I have some in my bank and I really have no idea what they are useful for, if anything. 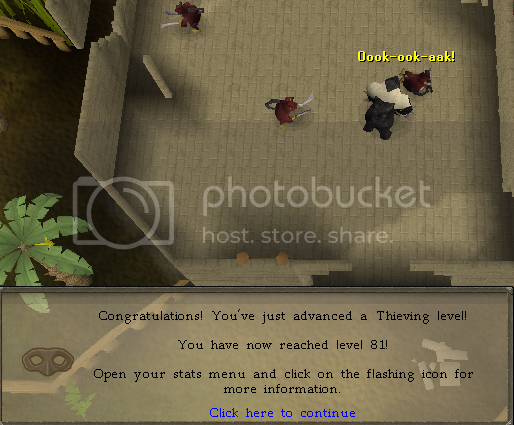 I've decided to get the last 2 levels of thieving I need for task master. 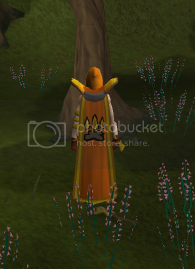 Once I have these, I have no idea what I will train next, there's just, so much for me to do. Ok. 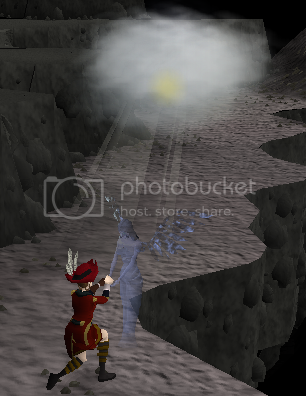 So today, going to try to get a level of thieving without getting distracted with something shiny...HEY LOOK A SHINY! Just kidding Either way, I'm getting the levels with pyramid plunder, not one of my favourite mini-games but if it means I get these levels faster I'll do it. I do prefer master farmers though, for seeds. One thing I should make clear, I write these at the start of the days, and then update them constantly. Hope that doesn't bug anyone! Shame on me for not being the first to wish you luck. Well, lets just say I have extremely bad luck. And death issues. As for biscuits, here's the database entry. Hehe now we know what real life does...drugs, drugs, more drugs. Thank god we are addicted to something that won't kill us. Thanks For the info, Jaffy I shall be keeping a hold of my biscuits then. Sorry about not posting yesterday. 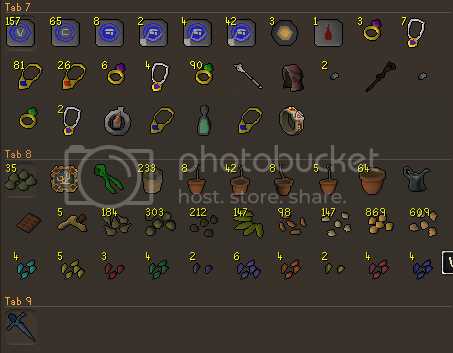 I didn't even have time for RS! So. 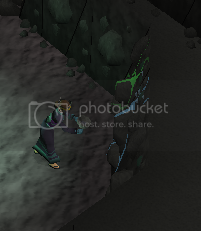 Thieving level. 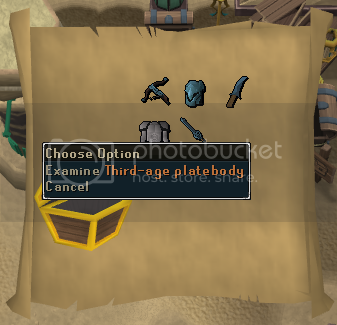 I NEED to get it but I got bored at pp so I went to H.A.M to get clue scrolls. I'll let you know if I get anything good, I have better luck with easy's. For the second level, may go to the ninja sword monkey dudes from Do No Evil and get it there...May not. 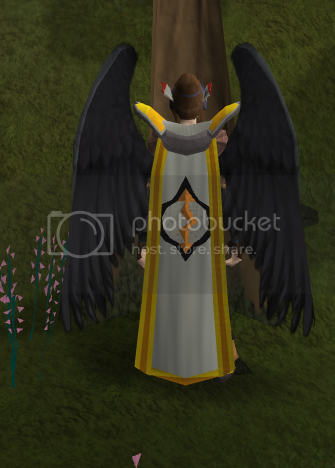 I like to do weird things for thieve xp. Once I do have both the levels, not quite sure what I'm going to do. I'll keep you posted. 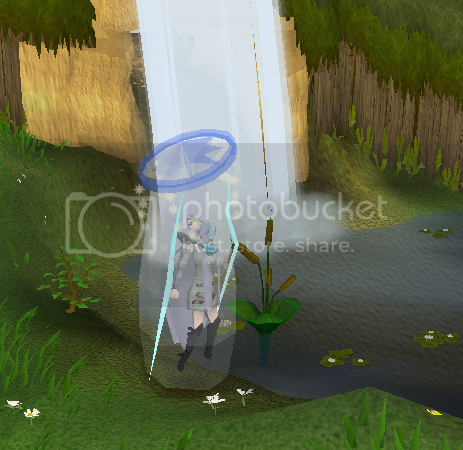 Gained a Blue Beret from one of my easy clues! 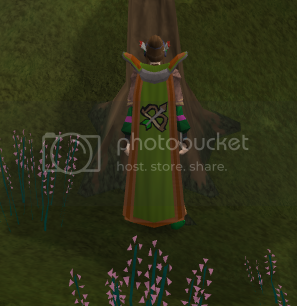 I also went to a double 99 party....Gratz to Eggi on 99 Dunge and Nobodys Mom on 99 Smith They are both awesome! Salleh, they call me Julie here too, so you can do that too. 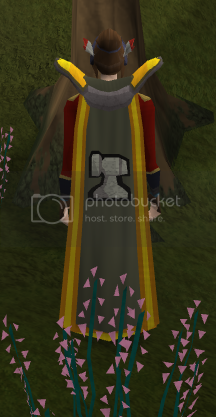 Gratz on the pretty barret! Congratz Matte & Elle for me if you talk to them? I forgot to post yesterday, so this kind of counts as two days. I'll spend some time working on 82 tomorrow. 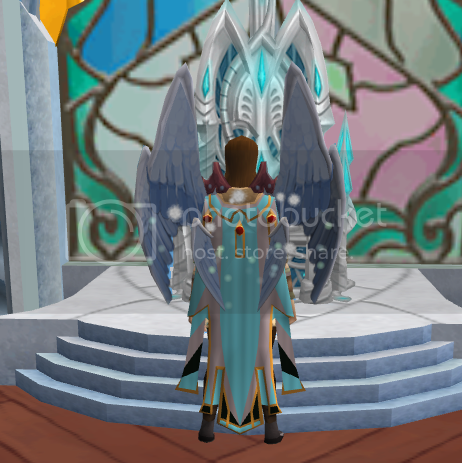 Then I think I'll do pengs to get some RC xp and then rc till I get a level, I need astral's! I spent my loyalty points on the Kimono outfit, and the cat fight emote. I don't like the headpiece for the Kimono though, so I don't wear it. 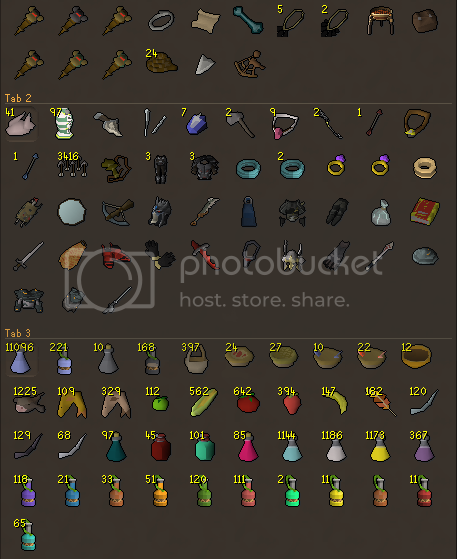 What did you guys spend yours on? 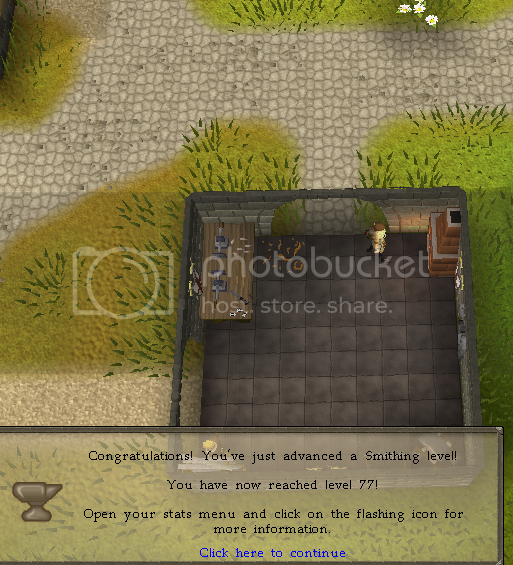 I'm hoping I'll be gaining levels like crazy soon. 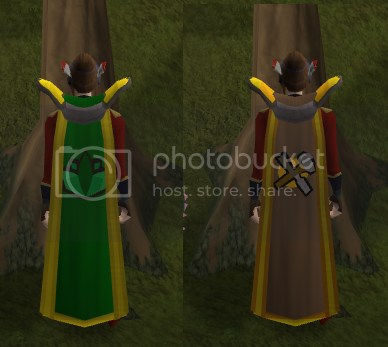 If I get a dunge level I'll be able to wear a new cape, so I should work on that. 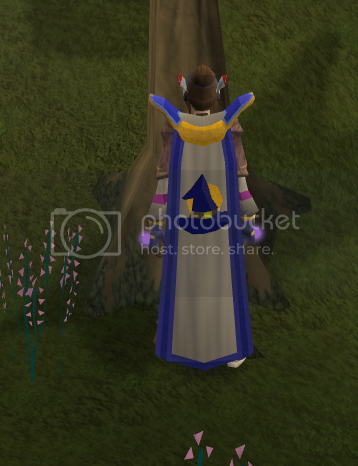 Also, in 36 days I can claim the veteran's cape! 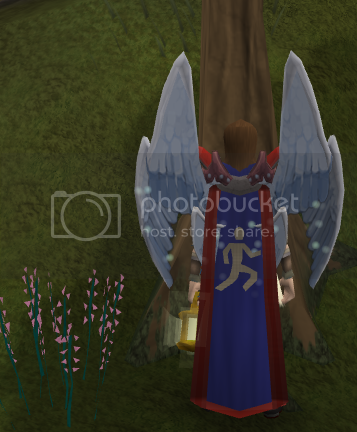 I'm looking forward to that I never did know exactly when I joined RS. 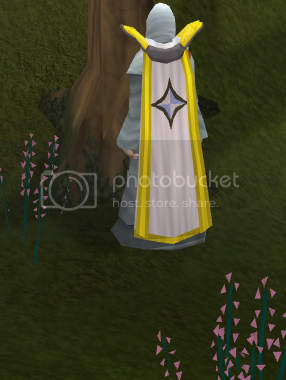 I wonder what 99 I should get next too...Capes capes capes, that's all I ever think about lol. 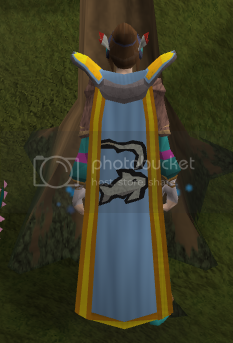 I picked up the blue-y purple-y dwarvish outfit and the fishing aura (call of the sea?). 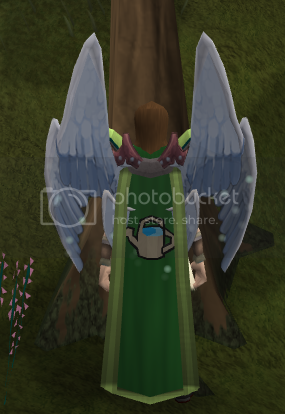 I haven't seen what that outfit looks like, I'm going to have to find out now! 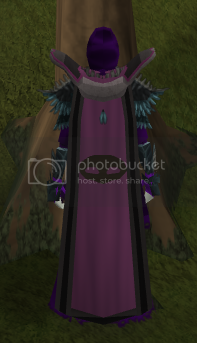 Congratz on thieving, and on almost having the Veteran cape! 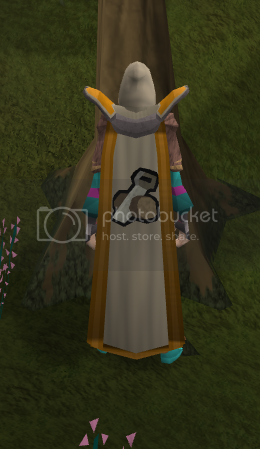 The thieving skillcape is awesome too; do you like the skill enough to 99 it? 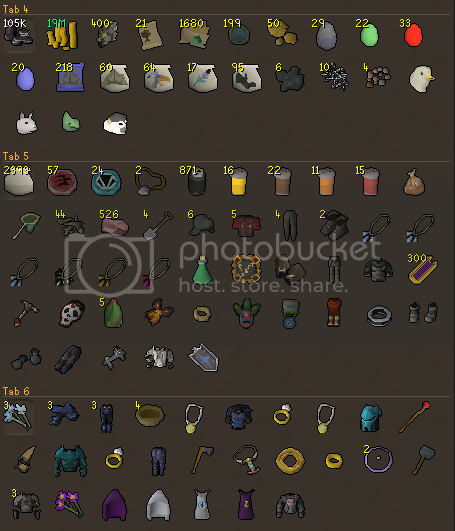 I bought Revenence (prayer aura) and the cat fight emote. Yup, and welcome to Tip.It! 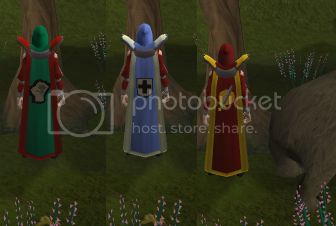 To be honest, I'd rather get taskmaster and hold onto my untrimmed cooking cape for a while longer...I know its an amazingly nooby cape, but cooking has always been one of my favourite skills for some reason...Yay for stereo-typing! Also thanks Juli. 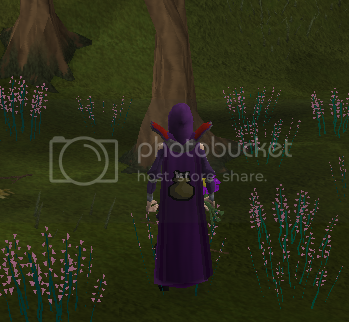 As I type this section, I am thieving from the Ninja Monkey Knife dudes. So, I'm going to be odd and tell you how I do it! As your on Ape A-toll, there's not really a good source of food, other than the occasional lobster you can thieve. So, to solve this little problem I made cheese. Cheese is amazing now its in wheels, because you can get one hell of a lot of food out of one wheel. 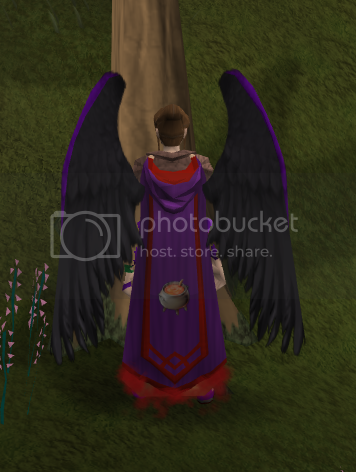 You also get cooking xp for each slice!